Borrowing money is always a risky proposition because you’re betting on being able to pay back both the interest on the loan and principal—the amount you borrowed in the first place. When you buy a home or a car, it’s almost impossible for most Americans to write a check for the full amount. The same is true for college. Maybe that’s why fully half of the $1 trillion federal student debt remains unpaid, putting a huge number of people in serious default on government loans. With rising college costs, your own savings and federal aid may not be enough to cover the full costs of tuition, let alone room and board, books and other expenses. Private student loans, also known as “private label loans,” can help bridge the gap, especially if you’ve already exhausted your federal aid options or don’t qualify. Private student loans are credit-based loans made by a lender such as a bank, credit union, state agency or school. They are being increasingly utilized by students to help cover the cost of a college education. Generally, the more expensive the college, the bigger the gap. The average annual cost for a four-year private university was $42,419 for the 2014-15 school year. For those attending vocational schools, private loans may be the only option available. Private student loans can be an attractive option because they can be used to cover expenses like computers, travel to and from school, lab fees, textbooks, food, housing and study abroad. And they are considered a less expensive option than using credit cards or home equity lines of credit. Still, private loans should be used judiciously—and generally, only after students have exhausted all of their federal aid options first. Students need to see if they’re eligible for Stafford loans, Perkins loans and PLUS loans. In addition, they will need to file the Free Application for Federal Student Aid (FAFSA) every year to see if they qualify for federal and state grants, work-study and other forms of student aid. Before you join the growing number of students and parents taking out private loans, you should also know the risks. For example, unlike federal loan programs, which cap interest rates and offer other protections in case you become unemployed, private student loans tend to carry higher rates and offer less flexibility in the case of forbearance or unemployment. Private lenders can charge higher interest rates and fees based on a student’s credit history, or their co-signer’s credit history. That means charging higher rates to low-income students. Borrowers with a faulty or bad credit history can expect interest rates that are as much as 6 percentage points higher than the best rates, loan fees that can climb as much as 9 percentage points higher and loan limits that are two-thirds lower than the advertised figures. 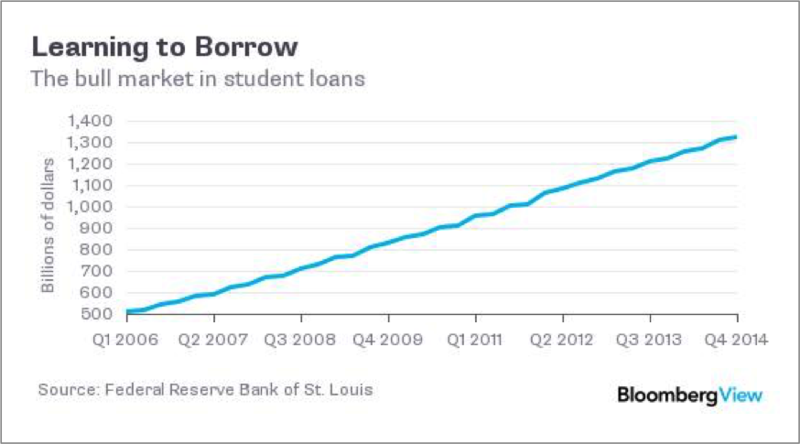 Private student loans have fixed or variable interest rates and some match federal student loan rates. But others can start out with low rates only to deal with ballooning payments later. With federal loans, the interest rate is fixed. FinAid offers this calculator, which may be useful for comparing loan terms. Generally, you won’t learn the complete details of a private student loan until after you submit an application, especially if you file your application online where lenders tend to show the lowest interest rate they can charge. Be careful about comparing loans based on the APR, as that rate may be calculated under different assumptions, such as the number of years in repayment, your credit history, or other factors. A longer repayment term will have a lower APR, even though the borrower will pay more in interest. Finaid.org has an extensive chart listing fees that can increase the overall cost of your loan, especially for high-ticket graduate school programs. A loan with a relatively low interest rate but high fees can still cost more than a loan with a somewhat higher interest rate and no fees. Usually 3 percent to 4 percent in fees is equivalent to a 1 percent higher interest rate. If you meet certain requirements, you can temporarily postpone or reduce your federal student loan payments, thus avoiding default. Borrowers of private student loans who find themselves in similar economic straits are still required to meet their repayment obligations. The Consumer Financial Protection Bureau found that in many cases, a failure to reach an agreement with the lender caused the borrower to default. Like mortgage holders, borrowers of private student loans can be temporarily placed in default with one missed payment. In the federal loan program, a borrower has to be delinquent on their loans for at least 270 days before they are considered in default. The penalties for defaulting on a federal loan are more severe than the penalties for defaulting on a private loan. If you default on a federal loan, your wages or bank account can be garnished, your income tax refund from the IRS can be seized, along with part of your Social Security benefits. They can make it difficult for you to get a cellphone plan or sign up for utilities or rent an apartment. If you default on a private student loan, a private lender must first file a lawsuit against you for a money judgment before garnishing your wages or bank account. (For private loans, “default” will be defined in your loan contract.) For private student loan borrowers who default early in their lives, the negative impact on their credit report could make it more difficult to pass employment screenings or buy a home. Private student loans are difficult to discharge in bankruptcy. Do I need a co-signer? Many student borrowers can’t qualify for a private loan without a co-signer. And the ones who do qualify frequently find that a credit-worthy cosigners — most often parents and grandparents — can help them land a lower interest rate. What if my co-signer dies or can’t pay? As with any loan, unreliable cosigners can hurt a student’s credit ratings and jeopardize your ability to access other forms of credit. If the cosigner dies or files for bankruptcy, you may be in default. To find out if this could happen to you, check the language in the promissory note of the private student loan. Look for conditions that could trigger a default or “auto-default,” and suddenly make your account due and payable in the case of a cosigner’s death or bankruptcy. 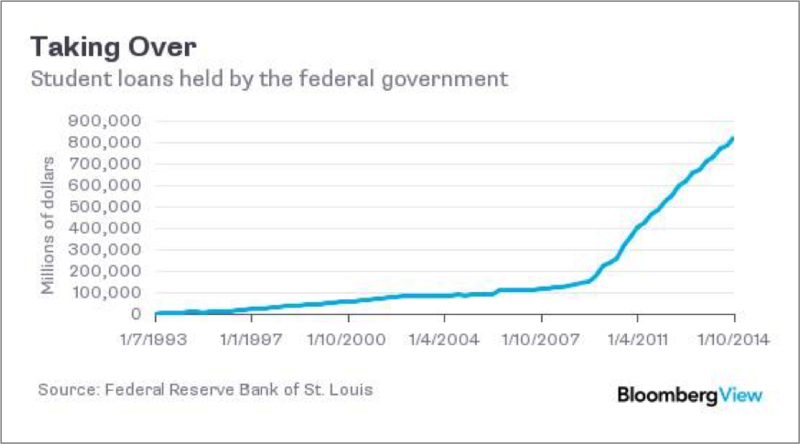 Do federal loans work the same way? With federal loans, students are also on the hook to continue paying off their loans if a family member who co-signed their loans dies. Can I pay off the loan early without a penalty? Some private lenders do not offer borrowers the option to pay off private student loans early. Can I deduct the interest from my taxes? Interest may be tax deductible with a federal student loan, but it’s not deductible on a private student loan unless your adjusted gross income is less than $80,000 ($160,000 if filing jointly). Can I defer payment if I go to grad school? If you decide to go to graduate school, federal student loans are deferred during your graduate studies. Private student loans can be deferred up to 48 months, but unpaid interest will capitalize at the end of that term. The Consumer Financial Protection Bureau reported last month that it had received more than 3,100 complaints about private student loans between October 1, 2014 and March 31, 2015. The report found that about 90 percent of co-signers who applied to be released from a private loan were rejected.